Saturday was a busy day for Peace Country Wolves athletes with runners taking part in two events. 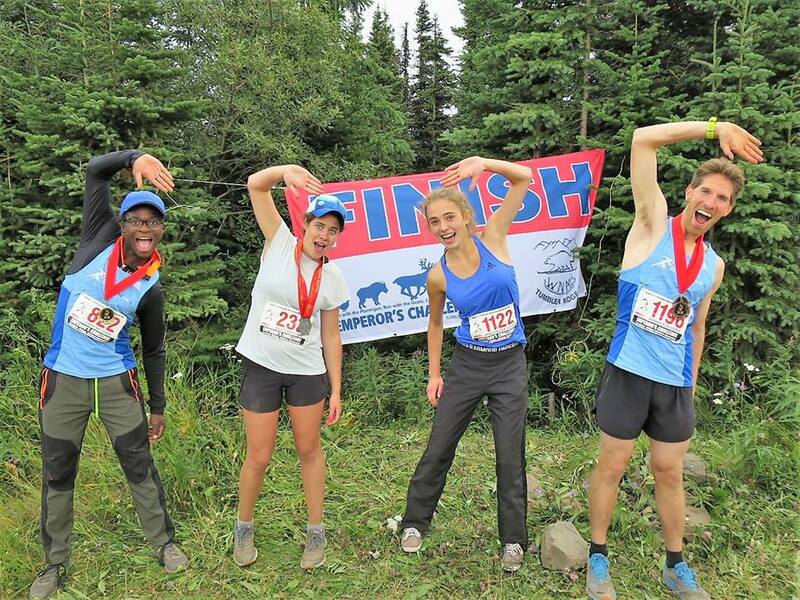 In Tumbler Ridge, four club runners contested the 20th annual Emperor’s Challenge 20 km mountain race. Despite running off-course mid way through the race, Brandon Wladyko ended up in third place. Chris Nelissen placed eighth. In the women’s race, Anna Van Der Geissen was also eighth, while team mate Kailey Bratland was 22nd. In Brandon, MB, Kobe Grocholski placed 13th in the U18 3000m at the National Legion Championships, clocking a time of 9:21. On Friday, Grocholski contested the 1500m where he placed 14th in a time of 4:10. This entry was posted in Outdoor Track and Field, Road Racing/Triathlon and tagged Athletics Alberta, Athletics Canada, Athletics Canada Legion Nationals, Brandon Wladyko, Kobe Grocholski, Peace Country, Peace Country Wolves Athletics Club. Bookmark the permalink.